I am a freelance storyteller and as a former student of human rights law and then herbal medicine my passion is researching and retelling traditional stories and folklore which highlight plants and the part they play in all our lives and how the commonality found by diverse groups of people in the plant use and the stories themselves, serves to allow new paths of communication and social cohesion to form. My long term project: ‘Botanica Fabula’ aims to collect and retell stories about plants and there uses and their place in every society on this planet in order to keep knowledge alive and bring stories that can excite a passion for plants to as many people as possible. I am currently working on traditional Scottish and original work focusing on the Scottish landscape and flora, however I also incorporate a lot of stories from other cultures, which reflect the make up and changing dynamic of modern Britain. I was awarded a scholarship in 1990, to study native American art and culture at the University of Santa fe, I find I am still inspired by stories I heard whilst there, which explain our planet, our routes to well being and peoples struggle to uphold their rights; themes I like to focus my powerful and symbolic stories on, and which are familiar themes in so many cultures. As a storyteller, my style has been described as exciting, dynamic and captivating, I like to make my stories accessible for as many people as possible, and have worked with groups for whom English is not the first language and for groups with a diverse range of ages. I am inspired and excited by dance and my natural style has developed to embrace fluid and expressive movement to highlight my stories and my props focus on multi sensory items. I weave smells and sounds into my storytelling with essential oils which reflect the plants appearing in the stories and unusual instruments to create sound effects and create a backdrop to the story. 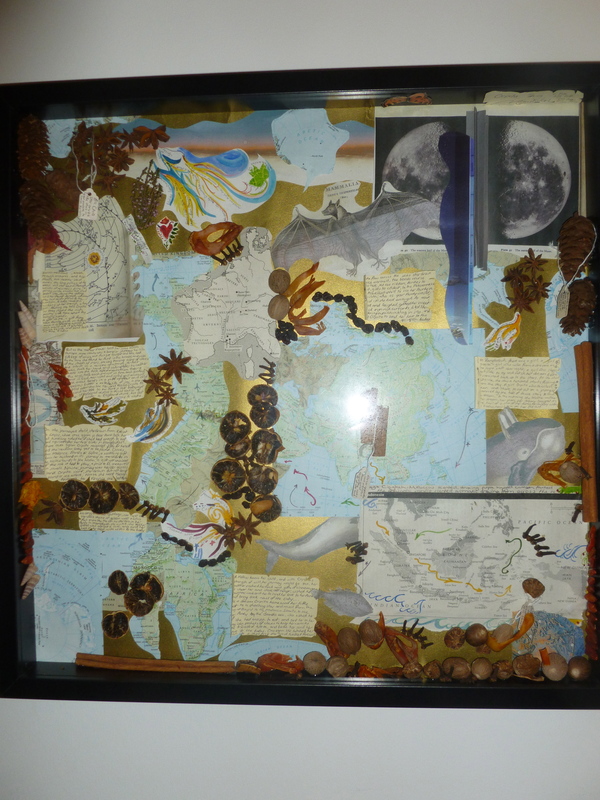 I also create ‘The Herb boxes’, the original one was a herbarium, with small pieces of art, dried samples and tiny labels, and each of these illustrate the stories and sessions in a unique way which helps to involve the audience and invite interaction and reminiscence. I regularly work in collaboration with musicians and visual artists and with my mother: Jean Edmiston a respected and highly qualified storyteller with over 25 years of experience, as a former teacher and equal opportunities trainer she has extensive experience in providing storytelling workshops for intergenerational groups, and service providers. I hold current PVG membership, have full public liability insurance and am a member of Equity.